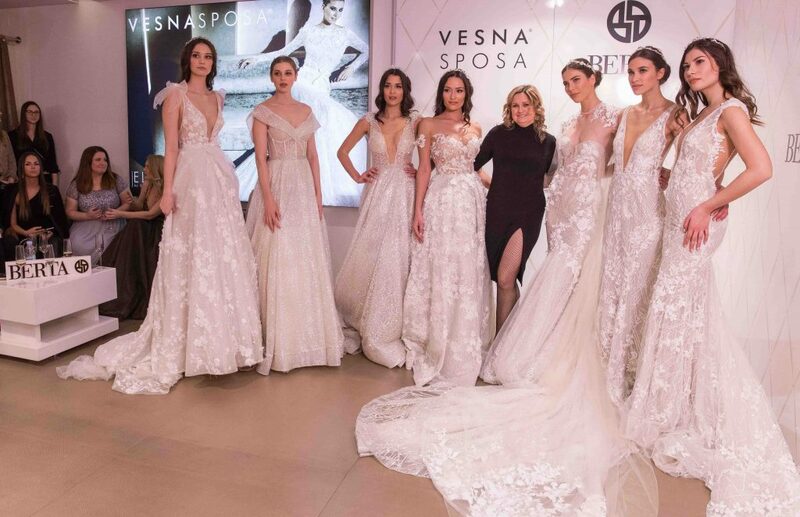 Vesna Sposa, our Zagreb retailer, is home to some of the most beautiful BERTA brides! We recently had a trunk show event and in-store fashion show with the new 2019 Athens collection. It was a true hit and proved once again why this is the most praised bridal collection. Here is just a sneak peek into what the weekend of the BERTA Zagreb takeover was all about. Congrats to all of our new BERTA brides from Croatia! Do not use the material that appears on this website without prior approval from Berta Fashion Ltd.